We are #1 in customer satisfaction and pride ourselves in having our clients as customers for life. An existing fuse box was replaced with a new circuit breaker sub-panel and hooked up to the existing main circuit breaker panel; two ceiling light fixtures in the basement were replaced; and a faulty electrical connection in the dishwasher was repaired. John, the owner, arrived at the appointed time for the initial inspection of work to be done. Based on research I had done, I felt the estimate was quite reasonable. On the day that the work was to be done, there was a snow storm and apparently one of his crew had trouble making it in at the appointed time. I had to call John when they had not arrived an hour and a half after the scheduled time; I felt he should have called me to say they were going to be late (my only complaint). The work was done quickly and efficiently. I'm highly satisfied with the quality of work and would definitely use JTN Electrical again if needed. JTN was great from start to finish. Good phone contact, email responses, and the electricians were very good with my questions during the installation. | |I got a 200amp service upgrade and a 30 amp generator plug. All the work easily passed inspection, and JTN room care of the permits and scheduling the inspection. J.T.N. ELECTRICAL Performed 200 amp service upgrade,included entrance cable,meter socket.circuit panel in lower family room. Installed 2 new ceiling fans, I am very happy with work that was performed. Having had this work done in spring my yard was very muddy. Without being asked their electricians removed their shoes each time they needed to come into house saving my carpets. Believe me this is the first contractor to do that! They were very neat cleaning up completely after work was done.They even built a small cabinet/cover to conceal service box in family room,preventing it from being an eye sore.I will recommend and use again. I called after reading several positive reviews from the list about upgrading our house's box from 100 amp service to 200. John was quick to respond to my husband's call and came to the house to review our current situation. It turned out we did not need to upgrade to 200 amp, just make some updates to our existing box. I'm so glad we choose to work with John, this saved us quite a bit of money! We scheduled our service for a week or so later and the team was in and out of the house in less than the estimated amount of time. We appreciated their speed as it was a freezing cold day and both my husband and I were home with our 8 week old son. The only reason I gave a B mark for punctuality was because the team was about 20 minutes late in arriving, but they called to tell us ahead of time and it was not a big deal to us since we planned to be home for the day. Overall, I would highly recommend to anyone looking for an electrician and I know we will use him again for any future services. John Nadeau repaired wiring and replaced lighting fixtures in an old tobacco barn used as a horse stable. 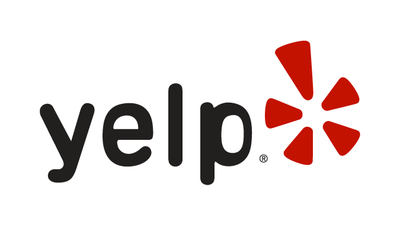 Member Comments: JTN lived up to its excellent reputation. A former tenant had left the barn without working lights. Not only did the electrical wiring need updating, but the tenant botched repairs he undertook himself rather than notifying us of the problem. John Nadeau proved both responsive and responsible. He contacted me right away and appeared quickly thereafter. When he had to cancel a follow up visit to finish the job for two legitimate emergencies (one of them entailed restoring the electricity for he town's annual fall fair the night before it opened), he immediately called and rescheduled. Having little experience with electricians, I cannot make any comparison on the price. He spent two partial days at the barn, upgrading the wiring and installing two new lighting fixtures and some new cover plates/switches. They are great! A clean-cut electrician was able to complete multiple repairs. He worked neatly and efficiently. He fixed things in my home that I thought would have taken up too much time to complete. I hired them to come back and fix my outside light poles, and they did a great job. I will definitely use them for any future electric work! They arrived on time, had the necessary tools and parts, and fixed things beyond my expectations! JTN Electrical helped us with basement lighting (energy efficient ballast, bulbs, rewiring) and new thermostats (parts/labor). They were professional, punctual and did a great job. Initial appointment was made quickly but a family emergency forced me to change. Very accommodating, scheduled a new date/time that met my needs and was open to changing again if I needed it. Responsive to communication and did a nice job. Thanks! Replaced my electrical panel. They were in and out within 3 or 4 hours. The two guys fixed it and were efficient. JTN Electrical Installed 4 new outside lights on front of our house and they were Wonderful! ﻿We have had the distinct pleasure to have JTN in our home for two projects. They were excellent, neat and reasonable. We would never think of hiring anyone else for any electrical project big or small because JTN is the best! JTN Electrical is adding recessed lighting in my kitchen, fixtures, and undercabinet lighting. They have removed old 1980's fixtures. They are also checking some other electrical outlets in the home. The experience has been excellent. John came and looked at the job, sent a quote in a timely manner with everything I requested. I was able to narrow down exactly what I needed done now and he has sent two great guys (Pat and Kevin) to do the work. They have been neat and clean, covered all the surfaces for protection, vacuumed and cleaned up neatly at the end of the day. They will be back in a few weeks once I have the new celing installed by a carpenter. They asked for my input on placement of lights and offered helpful advice when I was looking for insight. They work very hard and I look forward to using JTN Electric again. I used JTN Electrical Inc for installing an extra electrical block and some new lights. They did a great job. I was very pleased with their service. Installed a dedicated line for the upstairs bedroom AC. Installed a 3 way switch. Updated LR outlet to 3 prong. 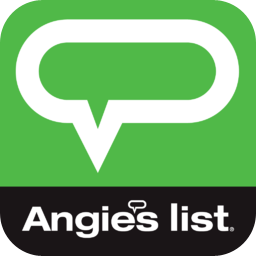 We purchased two angies list coupons and John was an excellent electrician and did the work perfectly with time to spare. I would advise anyone to be sure to discuss in advance: appx time, exact costs and any extra charges like travel time, etc although we were able to discuss these matters after the fact, which is not ideal. Ultimately John Sr was accommodating. BOTTOMLINE: We are satisfied with the work done and would not hesitate to recommend them. John updated our old circuit box. I had my entire kitchen and TV room gutted and redone. He installed many ceiling cans, led lights, and fixtures. He also installed a new breaker box and subpanel. He worked with the contractor, carpenters, tile masons, granite fabricator, etc. He also installed thermostats for floor heat, undercabinet lights, lights in some cabinets, appliance outlets and power outlet strips so there are no outlets in the backsplash. He also moved my wall-mounted television and hooked up the cablebox and sound system to it, installing speakers on the wall next to the television. He hard wired smoke detectors in rooms so that the house is up to code. He installed radio controlled switches that are programable for various fixtures onto one switch for moods or scenes. John and his staff are quite knowledgeable and professional. He is also extremely neat, no little pieces of wire or plastic left behind. No mud or dirt left behind from workmen boots. Every wire labelled.. The inspector was very pleased with the work. He also spent time answering questions, offered ideas and suggestions for fixtures, outlets, switches, etc. He contacted vendors for advice to ensure that products were installed according to their specs, not just how he thought it should be. He also was responsive to needs during the project. He met with me to program switches to my desires. He's a pleasure to work with. Very pleasant disposition. You can tell he loves his work and wants the customer to be happy. I will never let any other electrician work in my house. He's PERFECT!!! JTN Electrical Installed Home theater system; wired speakers, ran wires through walls and under basement. They did a very clean job; can not see any wires. Talked with me about what I wanted to do, he suggested a few different options, and we came up with a solution that was within my budget. I am very happy with the results and the sound of the system. JTN Electrical provide us will a updated connection to our Oil burner that was still running from old fuses. And also provide us with connection so we can run our oil burner with our generator if we lose power. JTN Electrical did excellent job and provided us with a very low cost way to upgrade the power to our Oil Burner and allowed us to connect our generator incase we lose power. I would highly recommend JTN for their fair price and excellent service to the customer. I purchased the Big Deal, which was $99 for two man hours of electrical services. There were two jobs I needed to have performed; 1) replace outside porch light; 2) install electrical outlet on the ceiling of the garage to accommodate a garage door opener. The job went very well. The electrician arrived on time and went right to work once I showed him the two jobs I wanted to have completed. He was very professional, courteous and efficient.